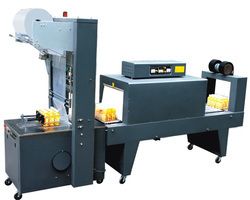 Our product range includes a wide range of semi auto packing machine and shrink packing machine. 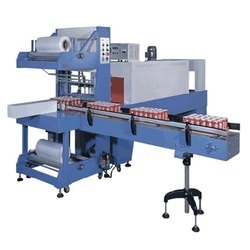 Shrink Packing Machine comprise highly functional Shrink Packing Machines that are made available in different operational specifications and are recognized for high quality, corrosion, and abrasion resistance as well as durable finish quality. These are also extensively quality checked so as to ensure in this optimum functional support in given applications. These also come with features like robust M.S. construction finish, two layer insulation support, the presence of AC / DC drive, S.S. roller conveyor as well as electronic temperature controller to provide for precision functional support. Other than this, these shrink packaging machines also come with the support of cooling fan & collection trays, advanced control panel. We make these available in different maximum pack sizes of 300 x 200 mm (w x h), 450 x 300 mm (h x h) with mini tunnel support for pack size of 300 x 100 mm (w*h).